"Such diamond precision of utterance has seldome been combined with so wide an aesthetic range." 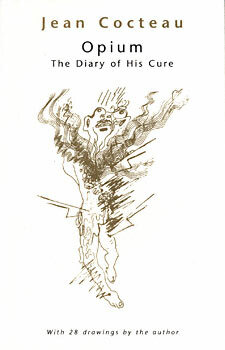 "Of all Cocteau's notebooks this is the most striking, and it gains much from his harrowing drawings." "His contribution to the great literature of drug addiction is distinguished by the flashes of insight, the capacity to remember, the observation of the miraculous."